Another Hit Party Banger has just been released. DJ Big N, a major part of Mavin Records has been a support to the label and respected among Disc Jockeys in Nigeria Music Industry. Having Collaborated with the Magic Handed DJ Tims releasing a party banger – DA PARTY MIX. Just as we thought We’ve seen it all, Another party Mixtape got Detonated. 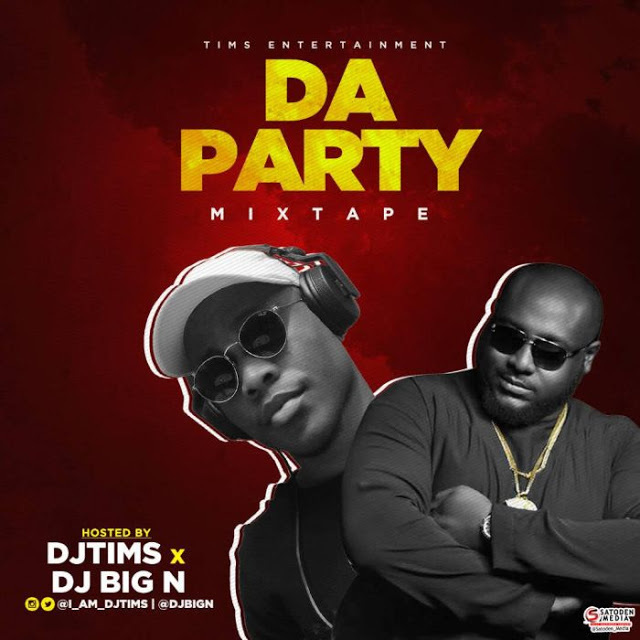 DJ BIG N a.k.a Nonso Temisan Ajufo Coming from the Mavin Records has released many Mavin Records Mixtapes including “The Surulere Mixtape”, “Mavin All Star Mixtape” and others with much energy. Known for his groove works in manipulating Sounds. DJ TIMS; populary known for releasing several mixtapes collaborating with many Nigerian Disc Jockeys including DJ Consequence, DJ PlentySongz and others is a Lead. Tracklist includes several Nigeria’s Best Songs with Crazy Vibes and Good Energy. This Mixtape will make you get your mind out. Download, Listen and Enjoy.